Ladies and gents, it seems to be your lucky day! You have stumbled across the finest selection of oil filters in the industry. K&N doesn't call them gold oil filters for nothing. They are the crème of the crop when it comes to keeping your vehicles oil clean and free from debris. These oil filters were originally designed and manufactured for the high demand in the race industry. They are gaining popularity due to the durable construction as well as the easy and fast removal. The canisters themselves are thicker than the competition, adding strength and reducing the threat of damage. Consisting of a cellulose bound with phenolic compound resin which surrounds the inside core, providing strength and reducing the risk of a collapsed filter. This resin compound is the glue that binds the fibers and at the same keeps the pores. The resin compound is brought to full strength, by the curing process in which it goes through. K&N Performance filters feature an anti-drain back valve when needed, preventing oil from draining into your vehicles crankcase. The heavy-duty walls help hold up against high pressure, which is why the K&N Performance Gold oil filters are ideal for the race car breed. This oil filter is also equipped with a tie-off hole on the filter nut, designed for race cars to keep it from ending up on the track during a blow-out! If you're looking for an oil filter that not only performs well, but is also equipped with a safety tie-off feature, then you are in the right place! 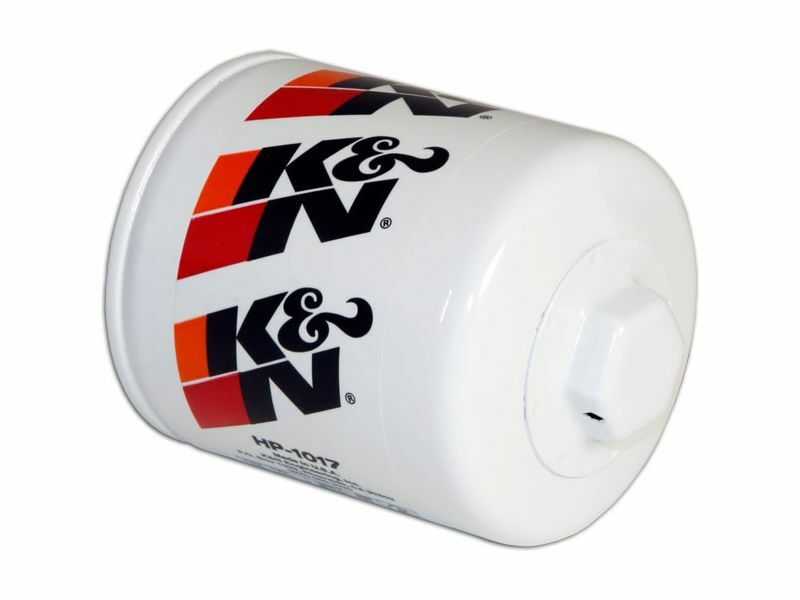 K&N has thought of everything when designing their Performance Gold oil filters, making them the brand to beat. Installation is as simple as changing your own oil. Have questions? Give us a call at 877-216-5446.